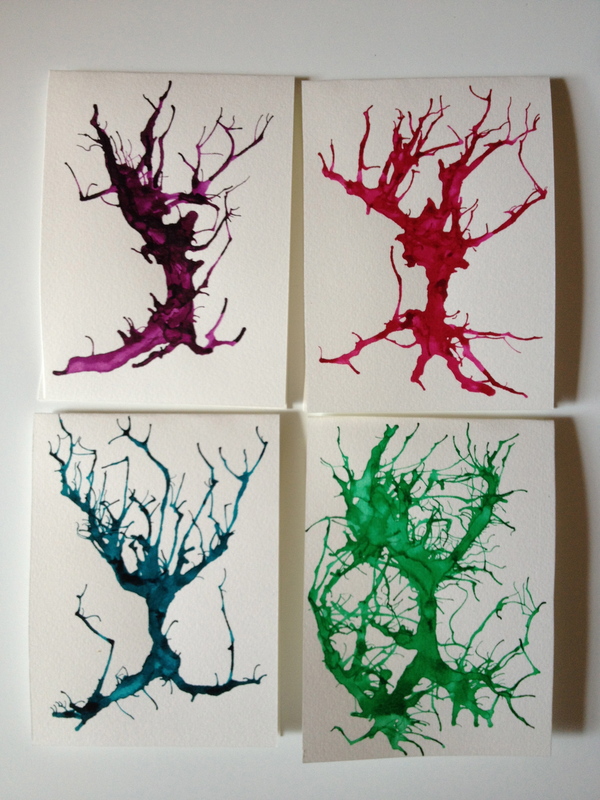 I’m sure I’ve said this before, but I’m going to try to post with a bit more regularity. 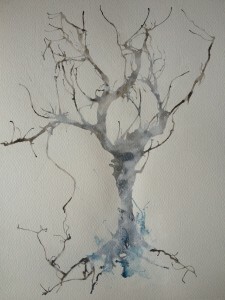 Unfortunately life and work seem to be forever getting in the way of intentions. I’ve been working on a series of insect sculptures. 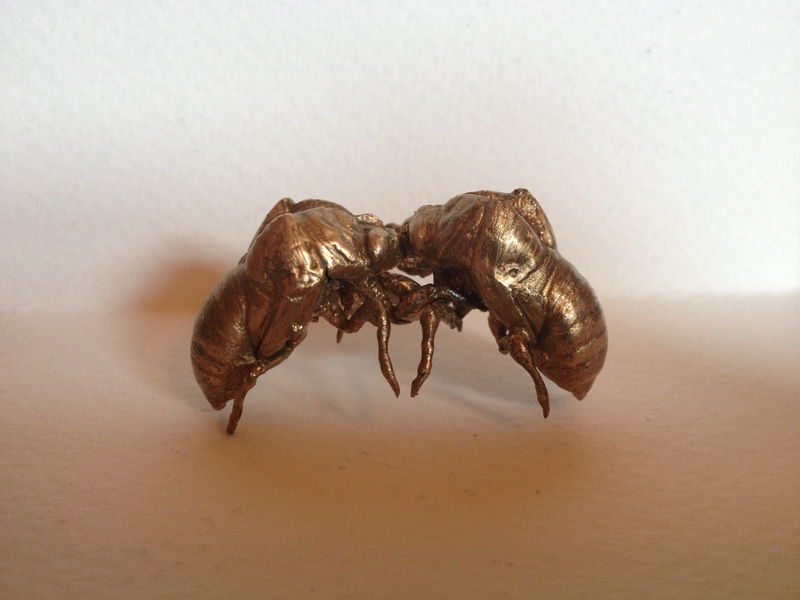 This one is two cicadas in bronze. 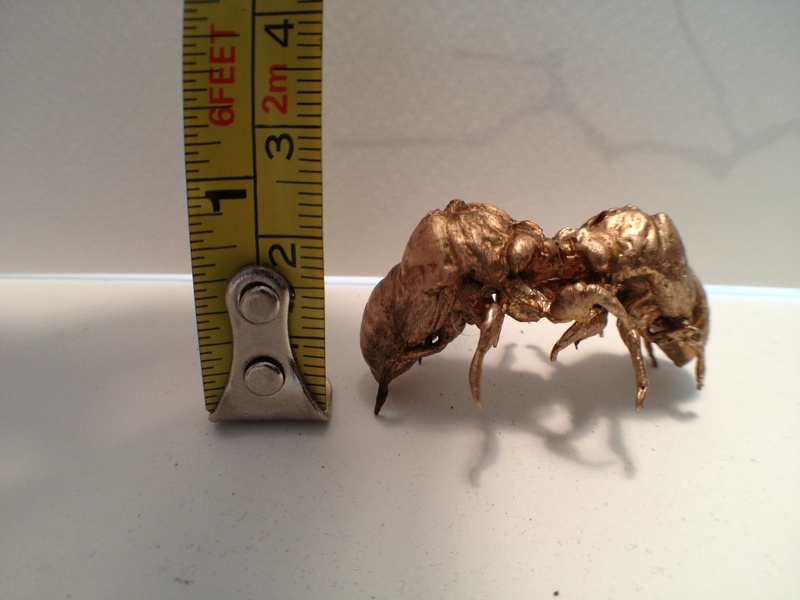 I found many cicada shells on trees around my parents house, filled one with wax, in order to strengthen it, and made a mold. 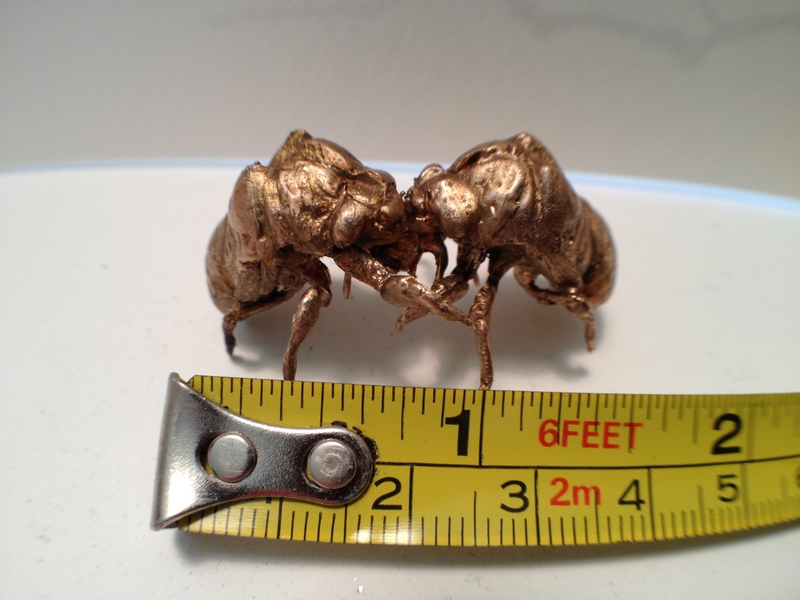 I had a few cast in bronze, then I metal chased them and soldered these two together. 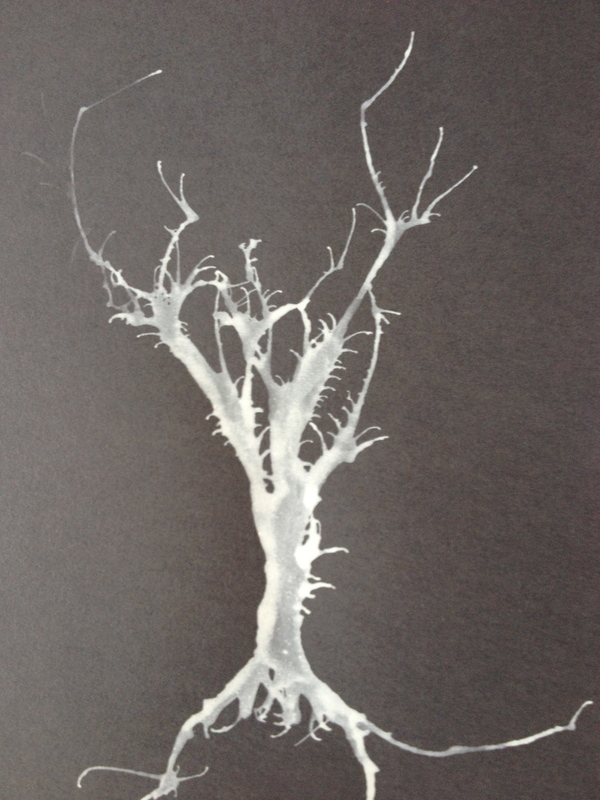 Finally I heated them up and applied a thin coating of wax. 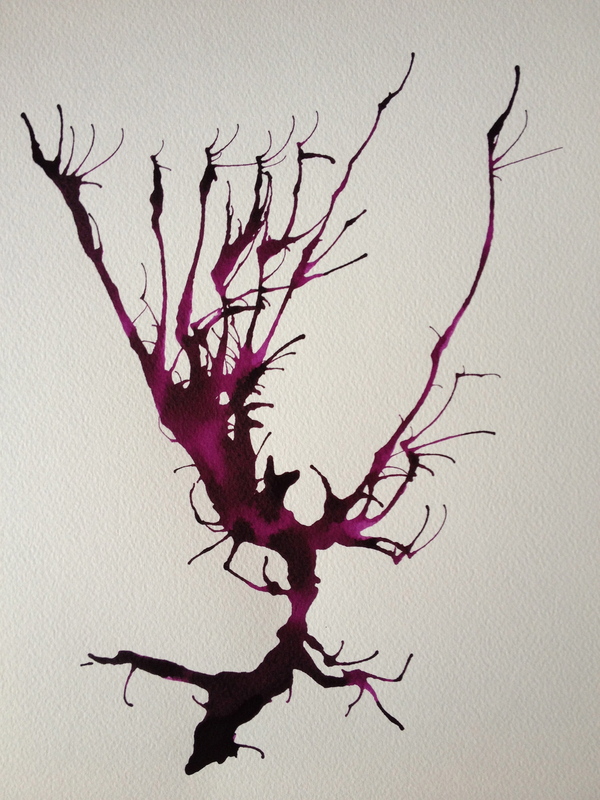 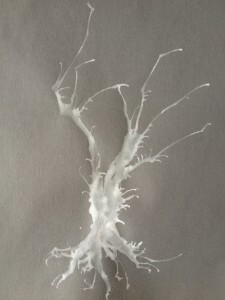 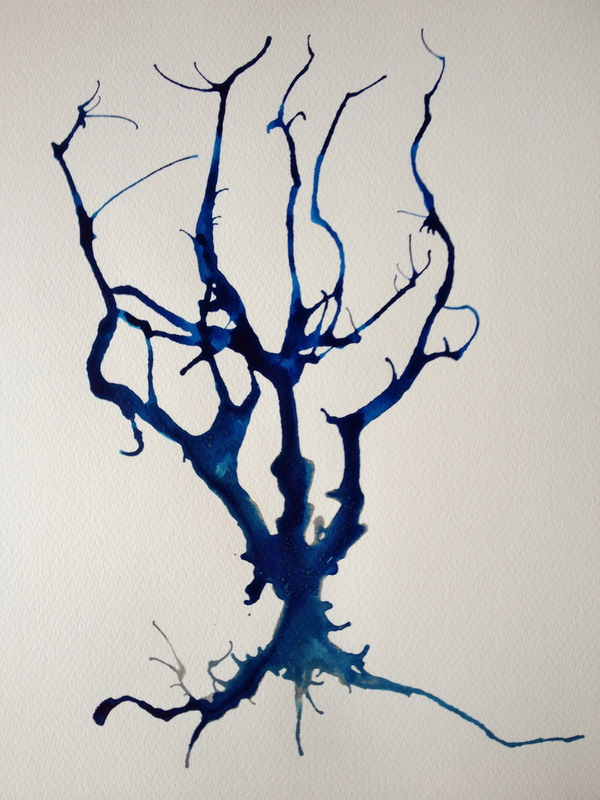 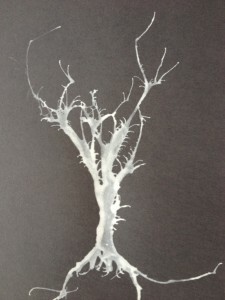 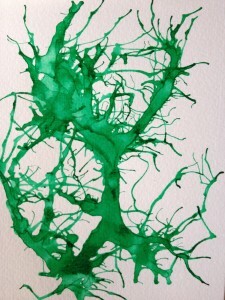 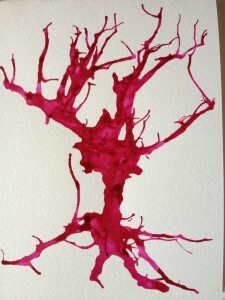 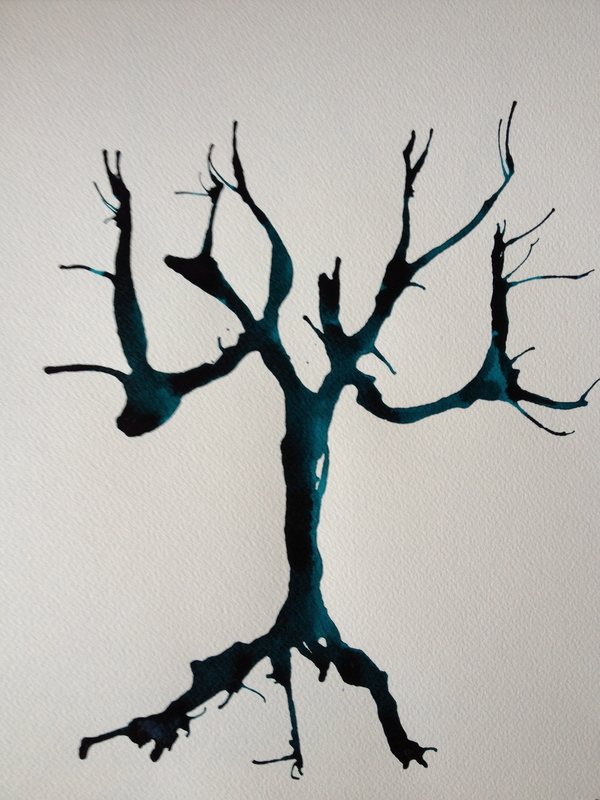 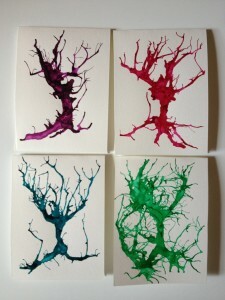 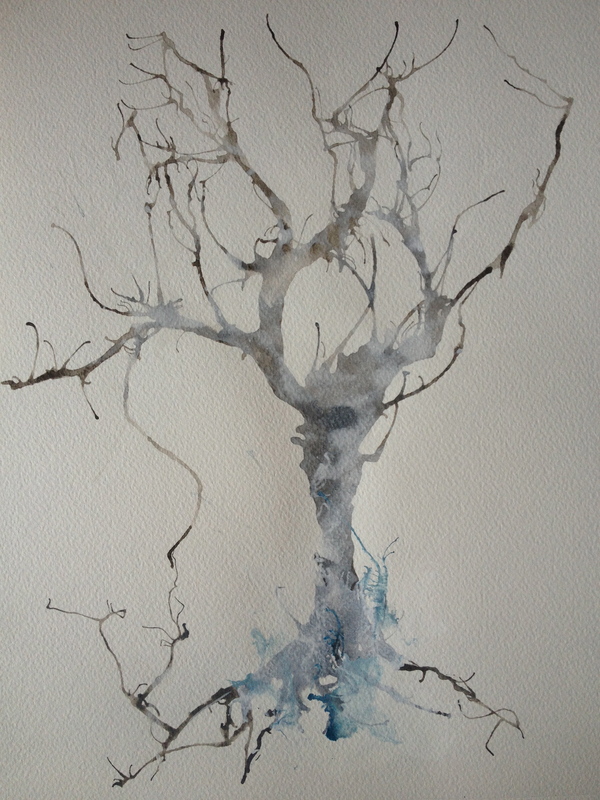 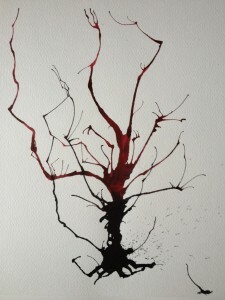 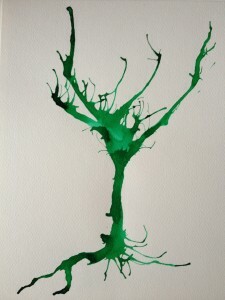 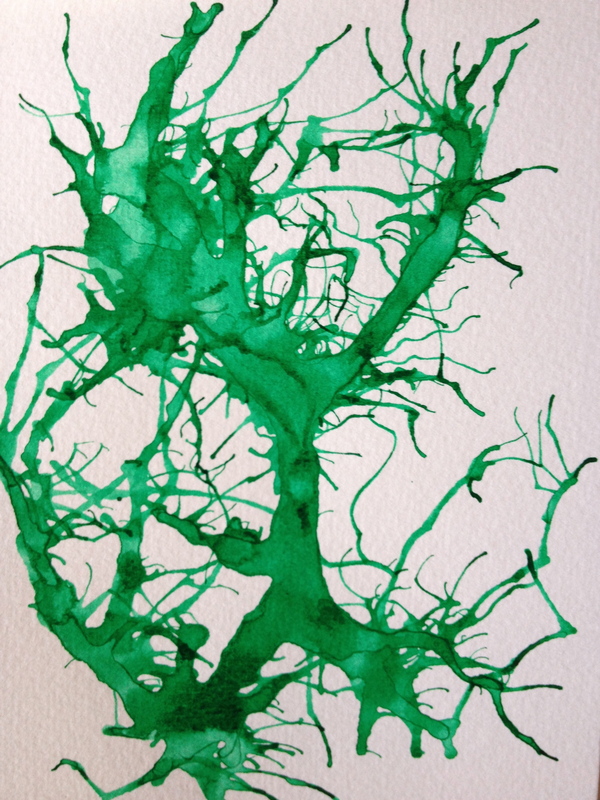 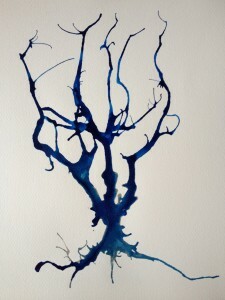 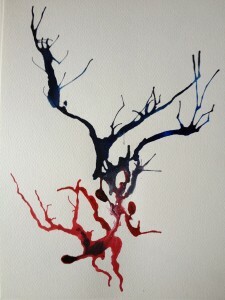 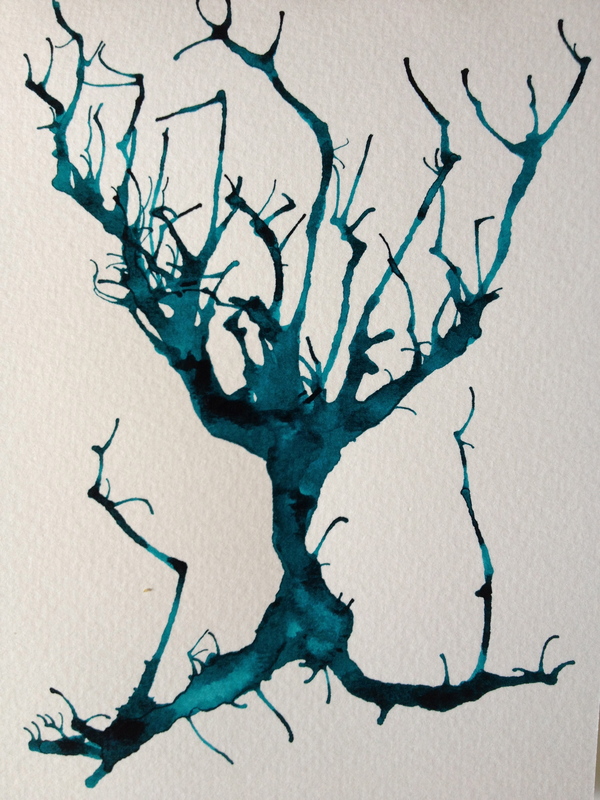 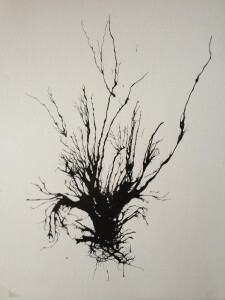 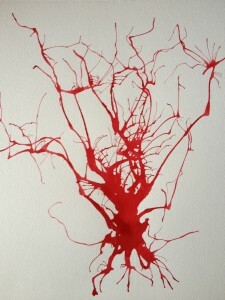 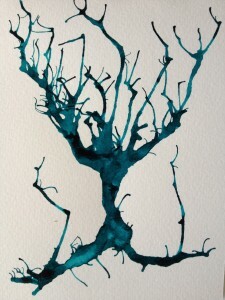 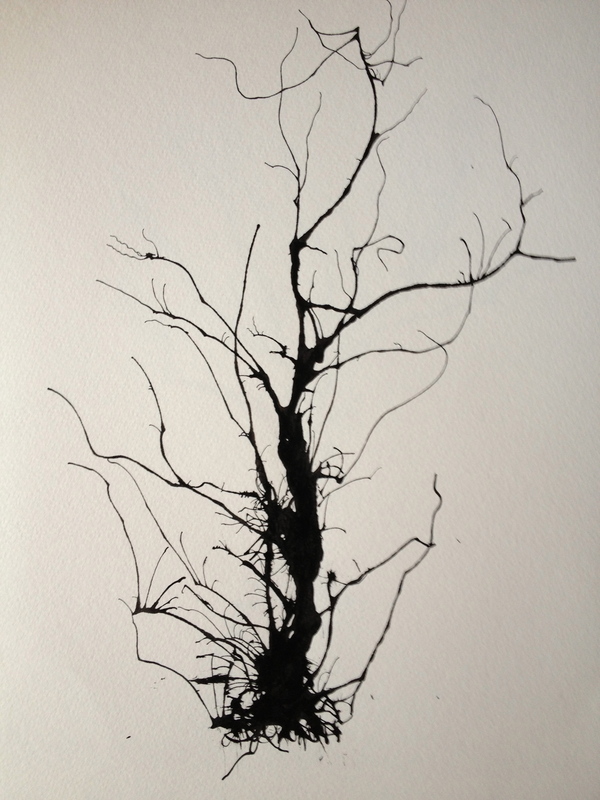 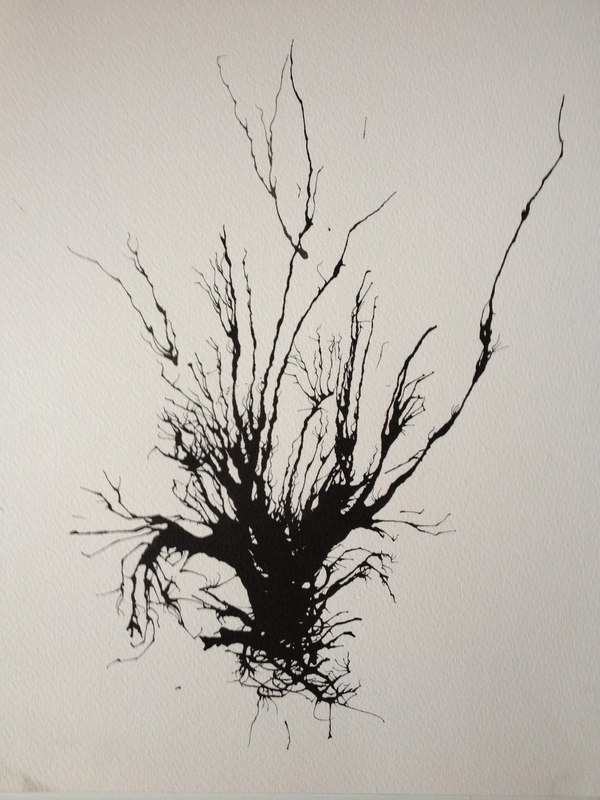 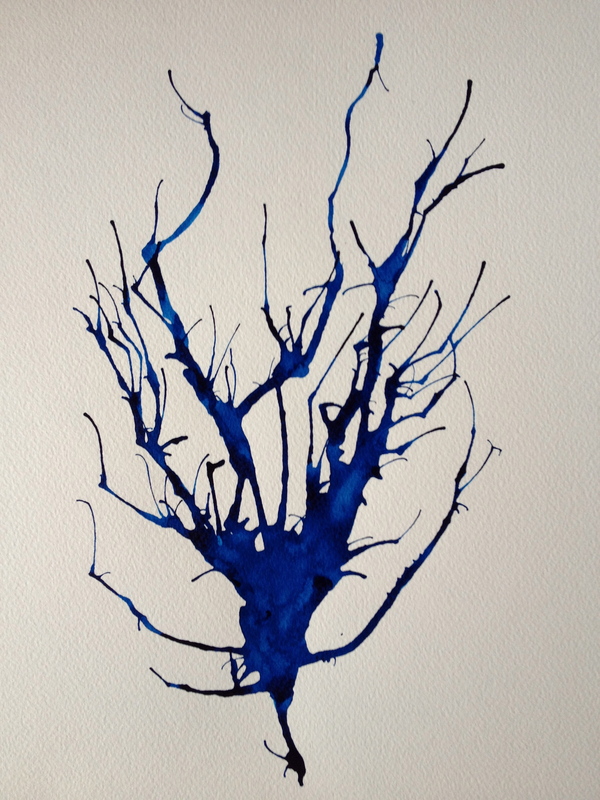 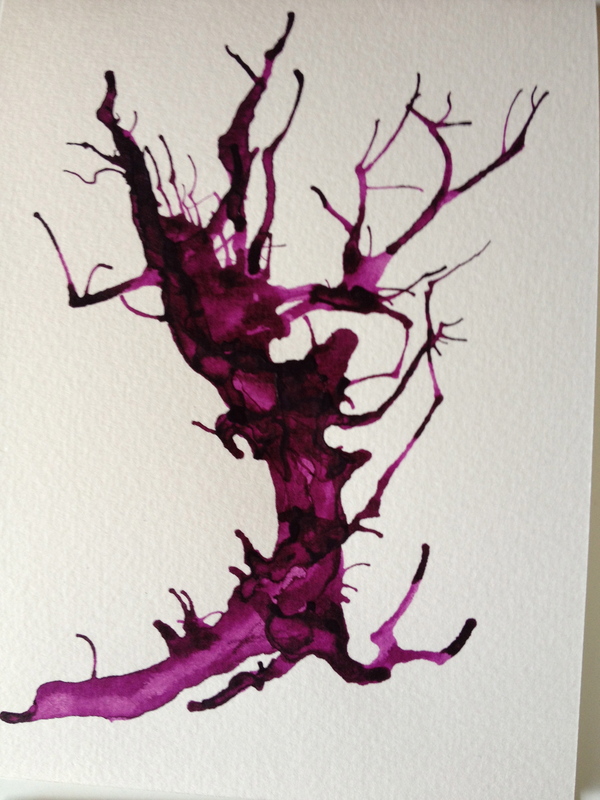 I’ve also been having a lot of fun making quick tree like forms out of blown ink. The last thing I’d like to mention today is the music I’ve been working on. I’ve been recording myself playing an old synthesiser (The Kitten by Octave). 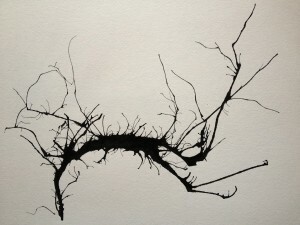 Then, if it seems appropriate, I add drums, or ask other musicians to add, guitar, bass, violin, cello, or vocals. 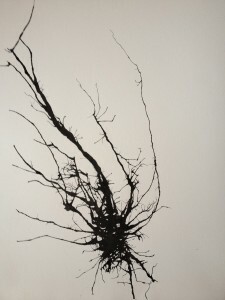 The sounds occasionally remind me of Popol Vuh, Michael Nyman, Zbigniew Preisner, and a bit of Goblin thrown in for good measure. 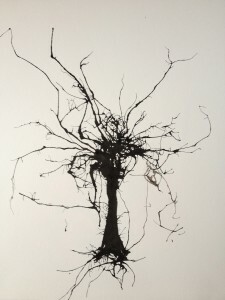 My goal, if I ever have the time and space, is to make short claymation films to accompany each of the songs, or give them to The Brothers Quay to use on one of their shorts, that would be just as good.